WASHINGTON -- The Obama administration is pressuring the food industry to make foods from breads to sliced turkey less salty, proposing long-awaited sodium guidelines in an effort to prevent thousands of deaths each year from heart disease and stroke. The proposed guidelines released Wednesday are voluntary, so food companies won't be required to comply, and it could be a year or more before they are final. But the idea is to persuade companies and restaurants - many of which have already lowered sodium levels in their products - to take a more consistent approach. 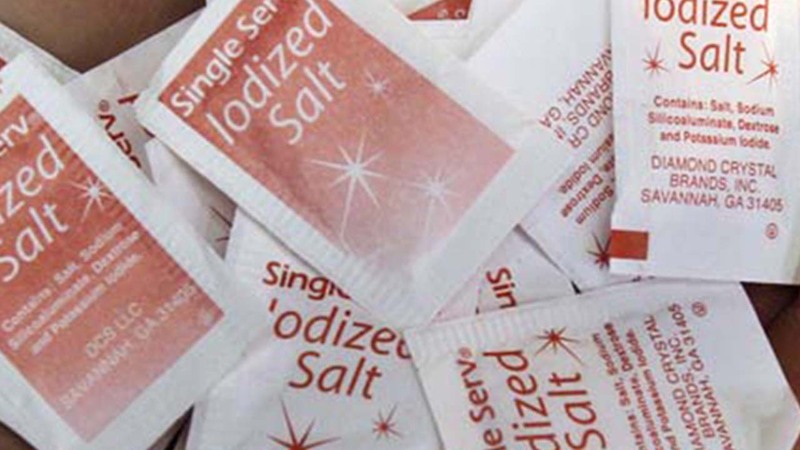 FDA Commissioner Robert Califf said that many people may not be conscious of how much sodium they are eating until they have a heart attack or stroke. Americans eat about 1 teaspoons of salt daily, or 3,400 milligrams. That amount hasn't gone down over the years, and it's about a third more than the government recommends for good health. Most of that sodium is hidden inside common processed foods and restaurant meals, making it harder for consumers to control how much they eat. The delays came as food companies balked at the idea of government guidelines, pointing to myriad efforts already underway to reduce sodium. The food industry has also pointed to a newer, 2013 IOM report that said there is no good evidence that eating sodium at very low levels - below the 2,300 milligrams a day that the government recommends - offers benefits.